Drawing new rooms and walls is as easy as clicking and dragging your mouse. Or get started even faster with wizards for virtually any project. 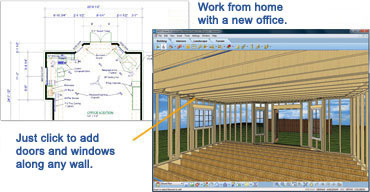 Plus, you can even import existing plans straight onto the home remodeling software. 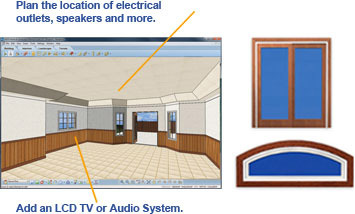 And much more with this home remodeling software! START YOUR REMODELING PROJECT TODAY!